Liberal-progressives’ secular religious faith tells them that governmental and economic systems worked out over the ages, in particular free-market capitalism, are corrupt and must be replaced entirely. It’s the grand schemes – man-made-global warming, Obamacare, or redistribution of wealth to transform human nature and perfect society – that appeal to them. Invincible confidence in the righteousness of their aims and power of their intellects leads them to disdain cautions and objections from the common man. The Tea Party phenomenon must, therefore, be nothing but a front for malevolent capitalists intent upon gaining monopoly control of the economy. Such arrogance arises from the spread of Godless socialism that infected our nation after the Civil War. To a degree that is hard for people today to envision, socialism and liberal-progressivism, its American variant, were fashionable ideas between the 1890s and the 1920s. By 1912, socialism had become a favorite topic of magazine editorials, church sermons, college lectures, and academic theses. Socialist propaganda was pouring forth in magazines, novels, and dramas. The Eastern liberal establishment, Republicans and Democrats alike, were schooled in this attitude by Ivy League universities. 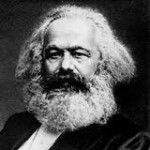 Most of the best known late-19th-century and 20th-century writers and thinkers who influenced the understandings of college and university students considered themselves to be socialists or anarchists, and in a few cases communists. Edward Bellamy’s novel Looking Backward, published in 1888, sold over a million copies; it described a paradisiacal socialist society of the future that had eliminated wars, crime, poverty, and all manner of human social ills. In addition to John Dewey and Theodore Dreiser, there were playwrights George Bernard Shaw (a leader of the British socialist party) and Eugene O’Neil, as well as the young Walter Lippmann (fresh from the presidency of Harvard’s student socialist club). Others extolling socialism and damning American society included Carl Sandburg, John Dos Passos, F. Scott Fitzgerald, Ernest Hemingway, Sherwood Anderson, Sinclair Lewis, Frank Harris, William Dean Howells, Jack London and Upton Sinclair. Journalists Henry Demarest Lloyd, Ambrose Bierce, Robert Herrick, Frank Norris, Charles Edward Russell, Allan Benson, and David Graham Phillips kept the promises of socialism in the public eye. In 1906, Upton Sinclair and Jack London founded the Intercollegiate Socialist Society. Journalist John Reed, a staff writer for Max Eastman’s The Masses, wrote Ten Days That Shook the World, the 1919 account of the Bolshevik revolution that made him an official hero of the Soviet Union. In recent years Reed was made the subject of the sympathetic Hollywood movie Reds. Economist Thorstein Veblen savaged the capitalist system in his 1899 Theory of the Leisure Class. In 1913, Charles A. Beard’s An Economic Interpretation of the Constitution of the United States endeavored to prove that the Constitution was no more than a conspiracy by wealthy property owners to exploit the workers. Historians like Vernon L. Parrington in his Main Currents in American Thought ignored the property rights concerns of colonists that led to the 1776 War of Independence, instead declaring that the essence of American history was its conversion to French-style socialism at the expense of inalienable natural-law rights to private property. Despite the consistent failures and frequent horrific savagery of socialism around the world, superficiality enables liberal-progressives to remain confident that they alone can divine the future course of history, inculcated by our educational system. They are determined to follow Democrat-Socialist Party leaders toward the cliff, focusing upon far away dream clouds, ignoring the destruction just ahead of them. This was originally published in The View From 1776 blog.